The booth was, as usually, quite dim, and I used very slow (1/8-1/2s) shutter speed. Meopta Prerov as. in Czech Republick made 35/70mm projectors, type UM 70/35 and click "35mm projectors". I have seen an installation in Hotel Thermal, Karlovy Vary spa town, year was (maybe) 1998. Booth was quite impressive: two UM 70/35's and two MEO-5's. 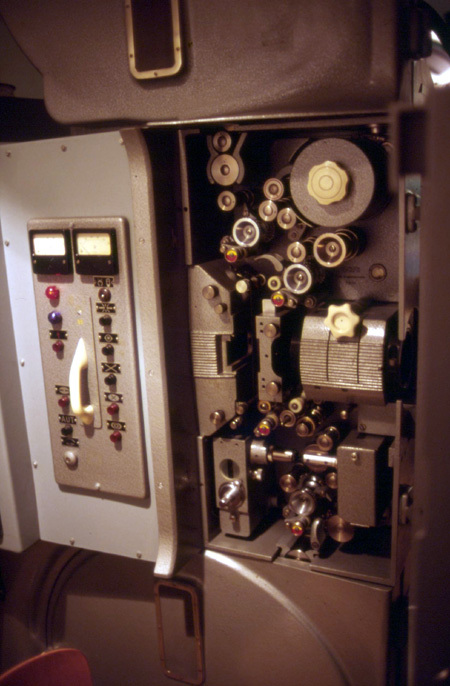 All films were shown with MEO-5's, probably because they were equipped with xenon lamps. I have a picture from the projector somewhere, but the picture on Meoptas site is far better than mine. I also scanned a page from "Fotoja filmitecnika entsyklopeedia", a book originally published in russian (1981) and then translated in Estonian (1988). In the table "kaarlamp" means carbon arc and "paikne" permanent. First projector is translitterated as "KP-50", 2. "KP-30V" and so on. 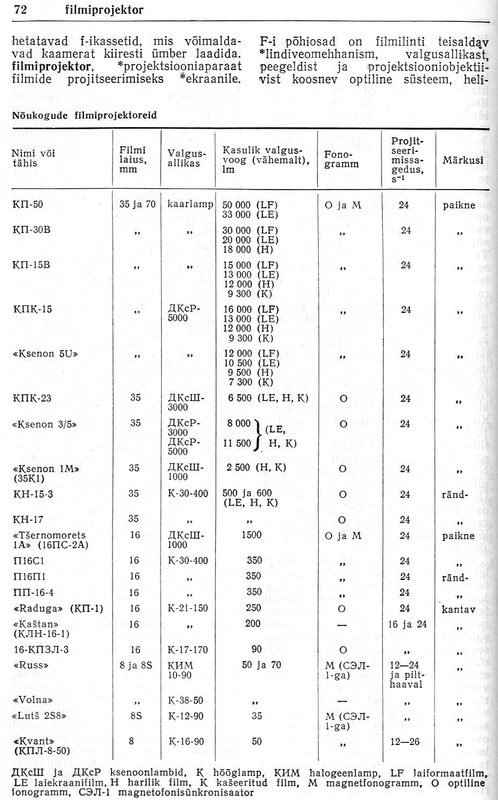 "Valgusallikas" = light source and KPK-15 has some russian xenon, type DKsR-5000. I have no further information about Russian xenon bulbs, sorry. 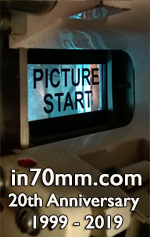 Thank you for your nice 70mm site!